MyElimu finally released an official mobile app, giving its community members a chance to get into heated discussion's from their handheld devices. MyElimu is a website that brings together students from all over Tanzania as they discuss various subjects and academic matters from O Level to A Level. Using the app, you will be able to do the same things as any desktop user: browsing MyElimu categories, searching, viewing and subscribing to threads, as well as reading and posting comments as part of discussions. Last, but not least, the official app gives way to posting your images, links and notes to the platform. According to MyElimu Founder Given Edward, one of the reasons which made MyElimu getting into mobile apps is rather an extension than expansion of the platform. 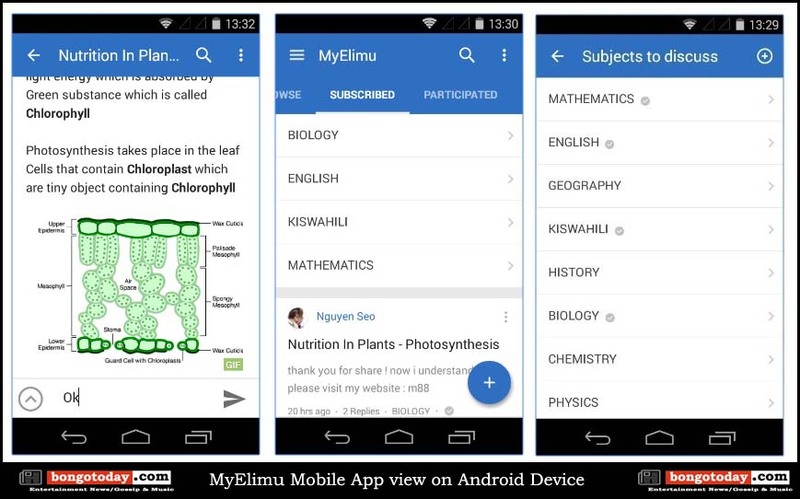 In my opinion, I think MyElimu apps [Android and iOS] will give students a fresh way to use the site and participate more in discussion's. Although the biggest challenges is that most of the Students don't own smart phones.